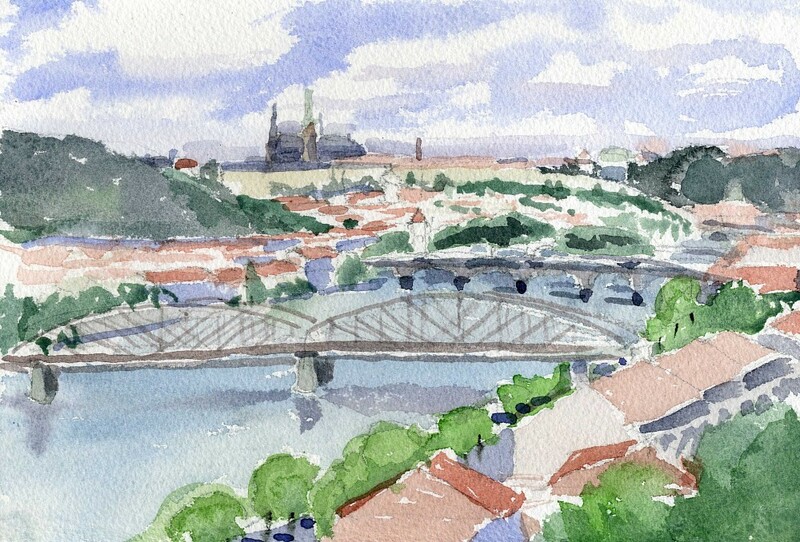 Dear Readers: In my travels I like to do water colors of the places I visit. I lost a dear friend to cancer early this year, but over the past few years, I had made several visits to see her and her family in the Czech Republic. Last year I made a trip to Prague and my wonderful host and hostess organized interesting trips around the town and in the countryside, to places which were not normally inundated by tourists. Once we visited the deer moat around Prague Castle, and of course Vysehrad, the site of a medieval Slavic encampment and early settlement. In the Czech National Revival, Vysehrad became a symbol of Czech history, and a famous cemetery is located there. The view of the City of Prague from its ramparts above the Vlatava River is lovely, and the park is very calm and quiet. The photo is of the Rotunda of St Martin, the oldest standing structure in Vysehrad, probably from the 10th Century. You will have seen Janet Crane's email about early registration which was good through the end of June. Now we must pay the full amount. But it is not any less worth doing! It is one of our most rewarding events. Janet Crane, our faithful Retreat organizer, should hear from you soon, before it fills up! Once again, it will be at the Westerbeck Ranch in Sonoma, on the weekend of September 18-20, 2-15. The program for this year is on creativity. Creativity is one of the most valuable skills for the future. The ability to dream, take chances, and create the things we imagine are critical to innovation and change. We are born with this ability, but over time we begin to lose it. Gretchen Addi, Associate Partner at IDEO, an award winning global design and innovation consultancy, will introduce us to techniques her company has developed to encourage creative thinking. We will reawaken our child's mind and enjoy some open exploratory play and take creative risks among friends. Movement, Yoga, Art and show and tell, will all be included in new and interesting variations. The whole thing is a wonderful combination of relaxation and stimulation, and wonderful social interaction. I do hope you will all join us this year! The cost of the program includes bed and board and ranges from $225 to $375 depending on length of stay, and accommodations. 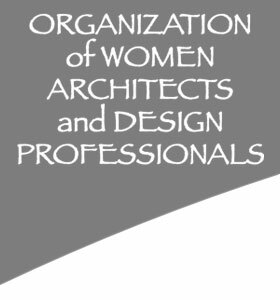 In an unprecedented collaboration, the International Archive of Women in Architecture (IAWA) at Virginia Tech will host the 18th Congress of the L'Union Internationale des Femmes Architectes to connect and build a network of women in architecture and design; and to collect, preserve, and highlight the professional contributions of women architects and designers, growing the resources of the IAWA. The theme of the 18th Congress is Contributing to the Constellation which aims to portray and elucidate the woman's role and influence in architecture and other design related fields. This idea of a constellation advances the IAWA's mission to preserve the works of women pioneers in architecture and design. As these trailblazing stars extinguish, their work may be lost. Permanently. We save their work, uncovering these materials to preserve them for future generations while also supporting the stars of today. #savethestars. We are very excited to share recent events from AIA National convention and beyond that are paving the way for Equity in Architecture. The disparity and inequity for women in architecture has been a long journey and likely very personal for many of you. Our longstanding goal has been to spread awareness and engage discussion between women and men about the systemic challenges for talent retention in Architecture. The publication of the research findings coupled with the active discussion of the Symposium and workshops both locally and at AIA National convention have resulted in positive feedback and steps towards change. Current AIA President Elizabeth Chu Richter was a true champion by asking the Equity question of Bill Clinton first and being an advocate for getting workshops and seminars as part of the AIA CEU convention curriculum. We had great attendance for all events that we participated in. Both women and men attended the Hackathon and the 2 Work/Life Flex workshops. The most invigorating affirmation was the passing of Resolution 15-1 Equity in Architecture with 4117 delegates voting YES, and less than 200 as no or abstaining. In the coming months, I will be working closely with AIA National Staff to assemble recommendations and action plan for the Equity in Architecture Commission and goals for the coming year. I look forward to reporting progress as we proceed. There are invariably many resources and conversations happening. Our 2nd EQxD "U" Workshop event was just held at AIASF (June 11) on the topic of work-life flexibility challenges and solutions, with 4 panelists of diverse backgrounds and levels of experience leading discussion of our survey report findings on work/life flex topics, followed by small group discussion on specific topics and ideas for solving the work/life challenges we face today. I encourage you all to engage with us in the dialogue at our future EQxD "U" workshops for 2015, #3 on August 13 and #4 on October 15. Many people nationally would love to attend or find access to these workshops. We are fortunate to be close enough to engage our Bay Area community and we hope that you will join us. For more information on EQxD at the AIA Convention, visit our blog, where we tried to capture the highlights from the overall convention as well as a deep dive on the Hackathon from our attendees/teams point of view. We came by the thousands to Atlanta to celebrate, to connect, to recharge, and to be inspired. We were not disappointed. Equity by Design, EQxD, was a huge success at the Convention. It is a timely topic with broad support. 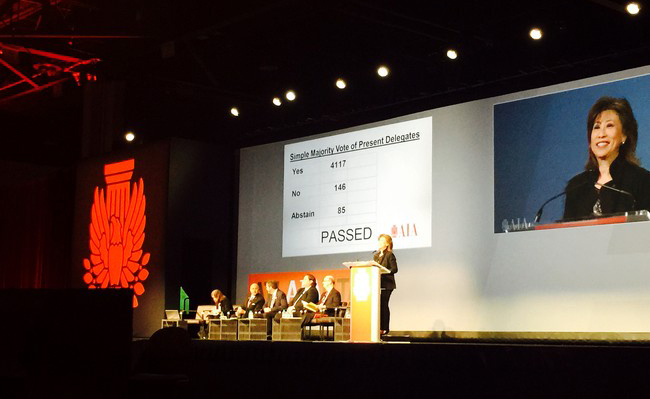 Having AIA President Elizabeth Chu Richter, FAIA, at the helm was instrumental in its success. As many of you know, Elizabeth demonstrated interest and support for AIASF’s Missing 32% Committee from the beginning, attending our third symposium in October 2014 as President Elect of AIA National. With Elizabeth’s guidance Rosa Sheng was able to put the Equity in Architecture resolution as the FIRST item to be voted on at the AIA annual meeting and it won by a landslide. I will let Rosa update the community because she is our Chairwoman and has all the statistics and reports (see article above). The media is also covering this topic because it is poignant not just to women but to men as well. See video posted at the AIA's ArchitectMagazine.com. Equal numbers of women and men attended the workshops and spoke up about the need to have creative solutions to an old problem. It is a cultural shift that we can now openly talk about because of EQxD. With our 42nd President, Bill Clinton, gracing the podium as our first presidential keynote speaker, and with our 2015 AIA Gold Medal and 2015 AIA/ACSA Topaz Medallion medalists, Moshe Safdie and Peter Eisenman, ATLAIANTA 2015 set the pace for meaningful discourse and action that will transform the profession of Architecture into one befitting its members and the communities we serve. With her inimitable style and energy, AIA President Elizabeth Chu Richter, FAIA, kicked off the convention with the theme—IMPACT. Uniting the audience with the common goal of advancing architecture’s visibility and position in the world, she demonstrated how design excellence provides tangible value that positively impacts society at all levels. With the support of the AIA, architects can reaffirm the value of creativity, collaboration, and design by innovating the way we present ourselves. Richter showcased the AIA’s promotional video, #ilookup, to raise public awareness of the importance of architecture in society. As part of the AIA Repositioning Initiative started in 2013, this is the first phase of the AIA Public Awareness campaign to bring about meaningful change to remake and advance the profession of architecture and the AIA. Through diverse stories about their architects, the Convention emphasized the importance of every project, irrespective of size or prominence, in defining our collective achievements as a profession. As the 2015 AIA award projects confirmed, neither size nor program garner an advantage. Instead, recognition is bestowed on projects that demonstrate design excellence through integrated project teams and user collaboration. 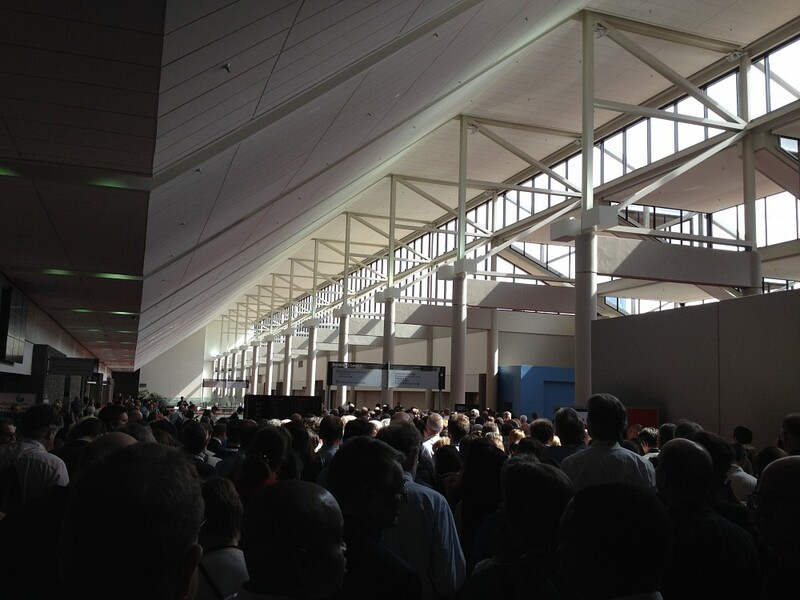 Inside the Georgia World Congress Center – thousands of architects on their way to the first keynote featuring former President Bill Clinton and AIA gold medalist, Moshe Safdie. Former President Bill Clinton urged architects to step up to the plate and channel their creative resources in a joint effort to solve the world’s problems. As designers of the built environment, our work will have a large, and lasting, impact. As he noted, there are many low-hanging fruit, but it requires the resources of our profession to provide effective solutions. Our strength lies in our ability to collaborate and work together to problem-solve, to analyze and synthesize across disciplines. Hands down, Clinton observed, a team of motivated individuals working together will always produce better results than any genius working alone. Moshe Safdie, 2015 AIA Gold Medalist, brought the audience to a roaring standing ovation with his poem, “If we seek Truth we shall find Beauty”. Safdie both reminded us of the cyclical nature of our pursuits and articulated the fine line between the perils of our ambition and the noble purpose that motivates us. Vanity, arrogance, and gratification must be checked so that the built expression of our work can embody a validated sense of place, the ultimate truth. As Safdie illuminated, beauty is the reward, not the purpose. Peter Eisenman, 2015 AIA/ACSA Topaz Medallion recipient discussed the history and current scarcity of ‘Heroes’ in architecture. With the recent loss of Michael Graves, Eisenman remembered his heroes who have been the impetus in advancing Architecture – Frank Lloyd Wright, Le Corbusier, Louis Kahn, James Stirling, Robert Venturi and Aldo Rossi. He defined heroes as those who challenge convention and create cultural value. As the digital age and environmental challenges consume our attention, however, we risk losing the essential building blocks that provide the kind of transformative ideas and leadership necessary to evolve architecture. Looking forward, he stressed the value of Master of Architecture programs; M.Arch preserves the rigorous education of future theorists, practitioners, and educators and provides the necessary incubational period to focus on thoughtful exploration. Although this year’s honorees are predominantly men, I am not in the least discouraged. Change is on the way. For every Bill Clinton there is a Hillary. For every Moshe Safdie there is a Zaha. For every Peter Eisenman there is a Meejin. At my MIT Architecture Alumni gathering at the Convention, I met bright, talented, resourceful young women ready to step up. All this would not have been possible without the sacrifices of previous generations. We came to Atlanta to learn, to question, to be inspired, and to be recognized. We left elevated, charged, united, and ready to bring about change and IMPACT. In the words of Louis Kahn, “Even a common, ordinary brick … wants to be something more than it is. It wants to be something better than it is.” With IMPACT, with #ilookup, with collaboration, with honesty, and with heroes, the 2015 AIA National Convention laid the foundation to be something more. OWADP members toured Blake Garden in Kensington on May 14th. Laurie Twichell, a landscape architect, who works at the gardens guided the tour. Laurie explained the history of the estate once owned by the Blake family. Originally, 40 acres of grazing land, the Blake’s brought in all the plants that now grow there. Mrs. Blake’s sister, Mabel Symmes designed the grounds. Mabel was one of the first graduates of the UC Berkeley Landscape Architecture program. 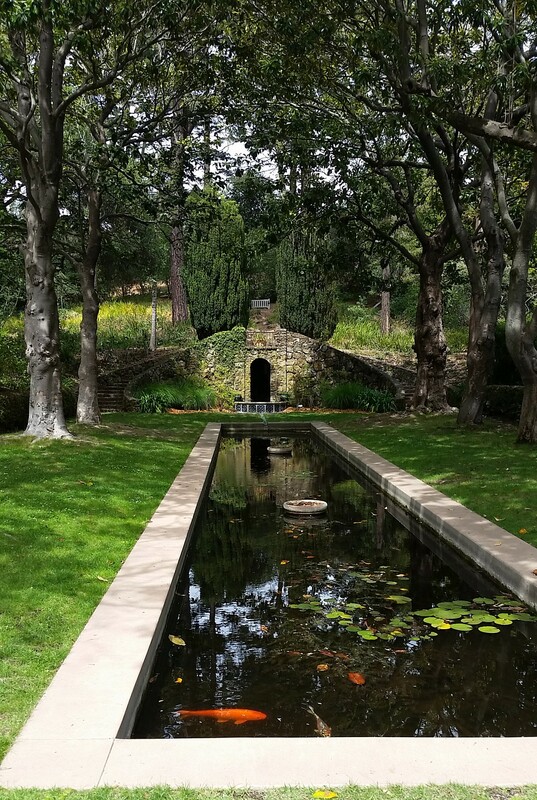 The garden was modeled on the Villa Tusculana at Frascati, Italy. The garden remained a private residence until 1957 when it was deeded over the the university. Laurie guided us through roughly 2 acres of the property. She introduced us to the varying regions of the garden and provided explanations on the research taking place there. She spoke highly of four different forms of composting the garden was using. She discussed the methods being used to maintain the garden but how the garden will grow and change with the needs to the users over time. 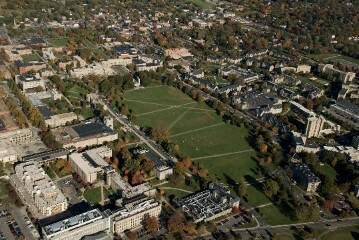 The garden was home to several university presidents until 8 years ago when the garden was opened to the public. Now a teaching and research garden for the Department of Landscape Architecture and Environmental Planning, the garden also offers a learning laboratory for UC students and students from local community colleges. It is open to the public Monday through Friday.